3-In-1 Multifunction Breakfast Center Just $26.24! Down From $48! PLUS FREE Shipping! You are here: Home / Great Deals / Amazon Deals / 3-In-1 Multifunction Breakfast Center Just $26.24! Down From $48! PLUS FREE Shipping! Hop over to Amazon to score this 3-In-1 Multifunction Breakfast Center for just $26.24 down from $47.99 PLUS FREE shipping! 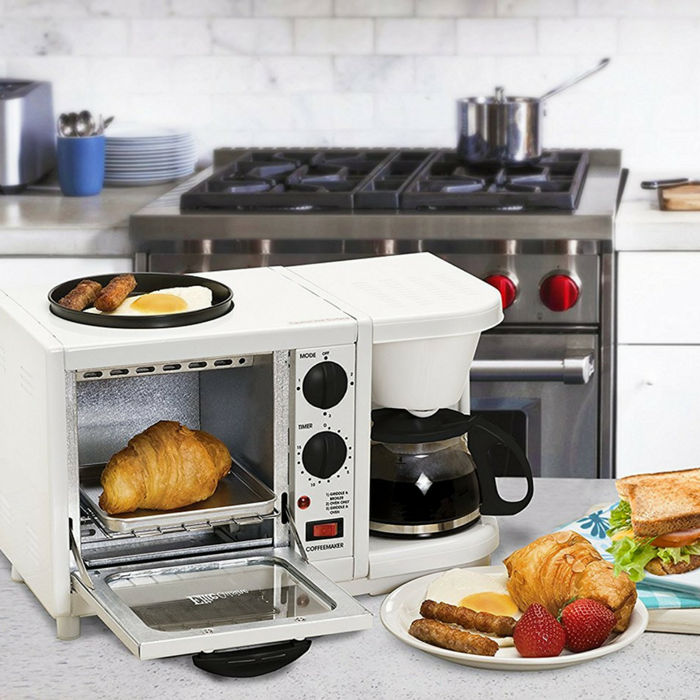 The Breakfast Center is small and compact, making it the perfect appliance for smaller kitchens, dorm rooms and RV’s. Brew fresh coffee, toast or warm biscuits, and fry bacon all with one single appliance. This all-in-one appliance is compact, easy to clean, and durable. One-stop for breakfast with the Breakfast center. Use the oven-top nonstick griddle for frying or warming, and the toaster oven to toast biscuits or keep food warm.